It's no wonder that August is National Peach Month what with all the beautiful specimens I'm finding in the market. Whether I intended to buy peaches or not, the sweet aroma pulls me in as soon as I walk past them. And while I stand there admiring, my mind races with possibilities for what to make. Pies, cakes, cobblers, fruit bars, ice creams, sorbets...I don't know where to begin. 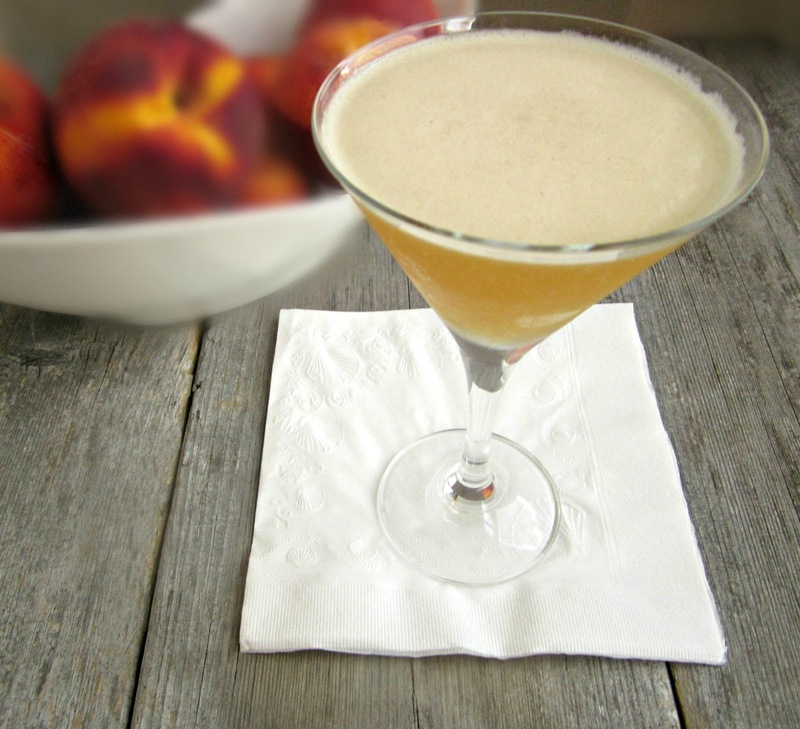 But desserts aside, the whole world of summer cocktails is also filled with peachy possibilities. Brian actually has an easy time when you mention peaches and cocktails. He wants his beloved frozen peach daiquiris and he wants them all summer long. Not that I ever turn down his frozen creation but sometimes I want something simpler that doesn't require dragging out the blender. And this is it. It's a little sweet and a little tart and totally and completely peachy. Cheers! Pour all the ingredients into a cocktail shaker filled with ice. Shake well and pour into a chilled cocktail glass. ooooh this is perfect! there's a town just south of austin that grows the best peaches. can't wait to try this!! Even though I don't drink, your cocktails always look so pretty and mouthwatering! This makes me wish it were five o'clock! I have some fresh peaches from my CSA box...and now I know how to use them. 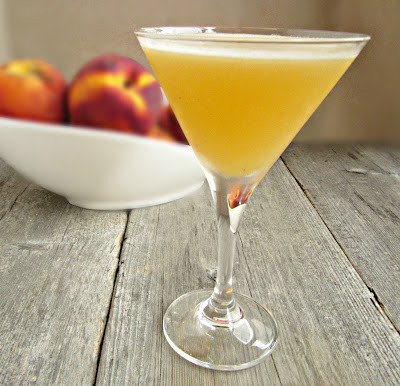 I LOVE the idea of a peach martini! Off to pick up a bottle of schnapps for this weekend! Another great cocktail recipe! This blog is going to get me into trouble! :) Thanks for sharing on Foodie Friends Friday! Wow this sounds fabulous love peach anything Martini bonus!!!! My mother adores peach schnaaps. This would go nicely with grilled chicken at my next BBQ. I'll have to ask her over and treat her. 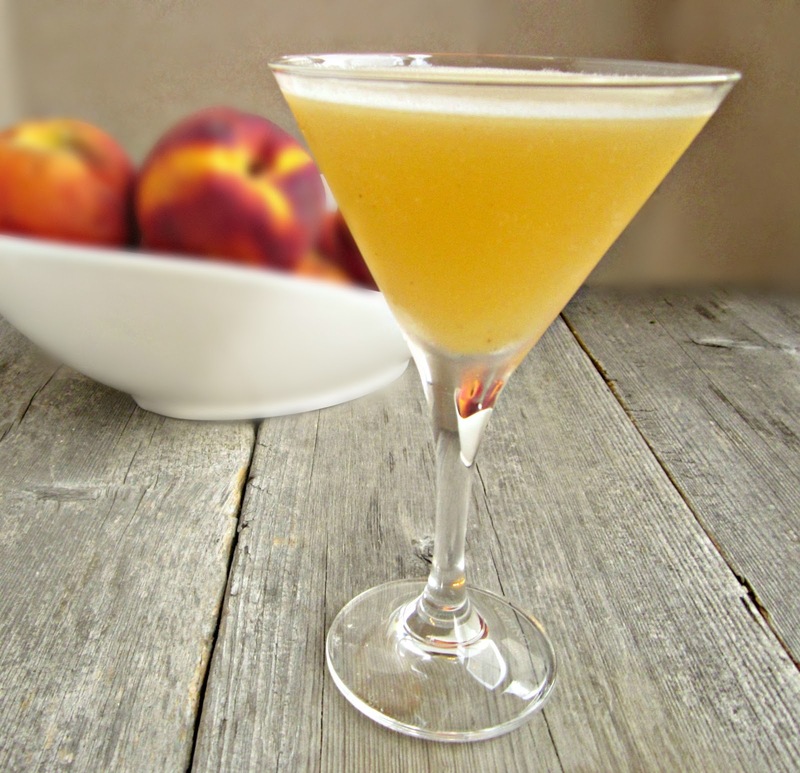 I love peaches and think that your peachy martini is a great way to celebrate this summer fruit. Cheers! Oh, yes please, I'll have a glass or two! Looks amazing! Be still my beating heart... be still! Wowza, I want one, and I won't stop craving this delicious looking cocktail until I get one. I'm with your hubby, I'll take a frozen peach daiquiri, too. Juanita is in the House!